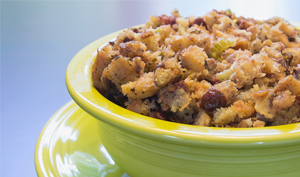 In a greased medium sized casserole dish, add the dressing and top with chicken. Wisk together milk and cream of celery soup and pour over chicken. Sprinkle with minced onion and parsley. Place in preheated 350 degree F oven for 30 minutes. 5 minutes before finished baking, remove from oven, sprinkle sliced almonds on top and return to oven. This can be made the day before and refrigerated, if so allow to stand at room temperature while preheating oven and bake your chicken casserole for 5 additional minutes.